A cloud service model that stores all the users’ data on remote servers is called cloud storage. It can be maintained, modified, managed and made remotely accessible to the user by the cloud service provider over any network, mainly the internet. Third-party cloud providers maintain this cloud storage. They are responsible for operating the cloud storage and providing the data protected and accessible to the authorized users. The cloud storage is built on virtualization techniques. The user is provided with a virtual storage service, and it is scalable according to the requirements of the application. The users can utilize and access the services through a web browser or even through APIs. It is a pay and use platform for providing the storage service. Thus, any individual user or organization can either buy or lease the storage from the cloud storage providers to store their data. Some of the major cloud storage service providers are Amazon (AWS), Microsoft (Azure), Oracle (Oracle Cloud), Google (Google Cloud), etc. 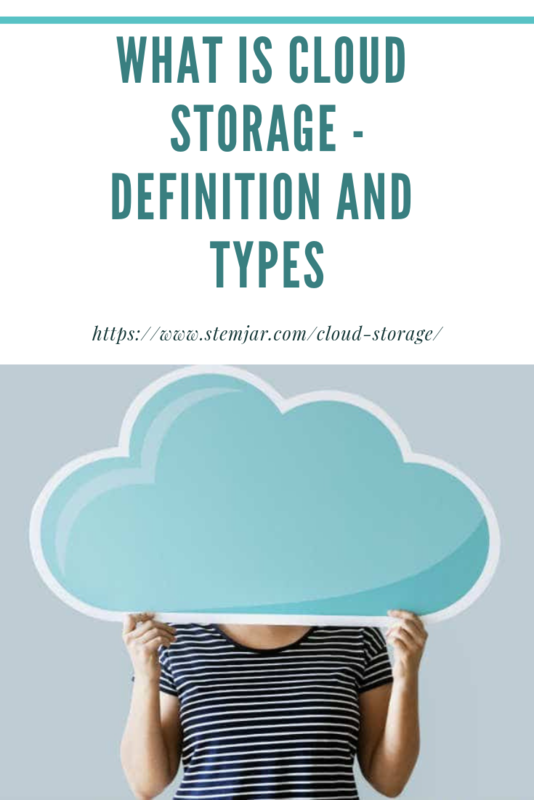 In this article, we will look at how cloud storage functions, how much it’s secure, its types, examples as well as the factors essential to choose the apt one. Let us proceed. Cloud Storage merely is an off-site storage system which is maintained by third-party organizations. It is provided by distributed data centers. These cloud storage systems are based on “pay-as-you-go” model for the user delivered over the internet. The third-party cloud storage vendors maintain the accessibility, security, capacity of the cloud storage system for users’ applications. These applications access the cloud storage through the web browser, storage protocols or APIs. The files are uploaded by the user on the cloud storage and can be accessed to retrieve the information required. Different cloud storages specify what type of files the user is allowed to upload on that particular cloud storage. The user can upload pictures, music, videos, or any other document depending on the type of files permitted on the cloud storage in use. A trusted cloud storage service secures the files and documents behind encryption and needs the user to enter a password for accessing the files. Usually, the cloud storage account can be protected through two-factor authentication so that anyone trying to access to your data must know not only the password but also another code delivered to your phone during the login request. After the files have been stored online, you can enjoy specific features based on how the service works. These may include streaming videos and music, accessing data from mobile phones, easy sharing of files through a particular share link, downloading the files back to your system, or removing them to free up space in your account, etc. How secure is it to use the Cloud Storage? While using the cloud storage services, the essential concern is about the security of the information you are storing on the cloud which is stored at remote data centers. The information of any organization is confidential and providing its access to any third-party cloud provider is where the cloud user can have some security issues. There are several technologies and policies used by the cloud providers to secure the data stored on the cloud. These help in protecting the information stored by the IT organizations and other cloud users. One of the most significant challenges concerning cloud storage security is that employees use free file sharing and other services which may not be permitted by the company and may not meet minimum security standards. 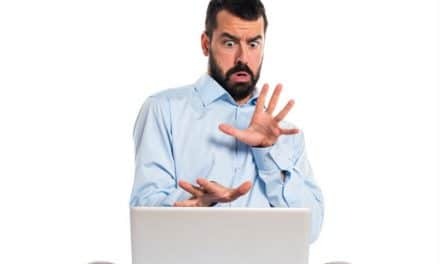 Thus, employees can put organization’s information at risk by using these services, usually without the IT department’s knowledge or approval. Along with incorporating security solutions to secure sensitive data against unauthorized access and enforcing cloud security policies, it is vital that organizations train their employees regarding the threats that mushrooms by sharing and storing information in the cloud. Different data protection solutions regarding cloud storage security offer total visibility and policy-based management over how information can be migrated to and from the cloud, ensuring that only authorized data leaves the organization’s environment and that its access is granted to authorized parties only. 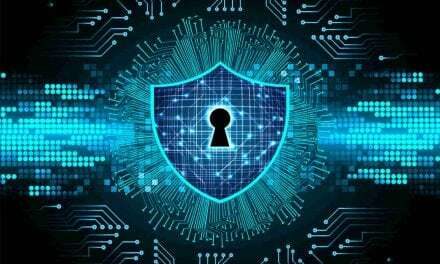 Thus, companies can implement stringent protection around sensitive data than other cloud storage providers, and offer a second line of defense in the case that a provider has a security compromise. Also, the data is protected through encryption. The cloud providers allow the cloud users to access and control the encryption keys. The data, while being transmitted or at rest, is always encrypted. The information stored is divided into chunks, then encrypted and kept at different data centers. This decreases the risk of losing users’ data or prevents them from being tampered by any unauthorized access. What are the different types of Cloud Storage? 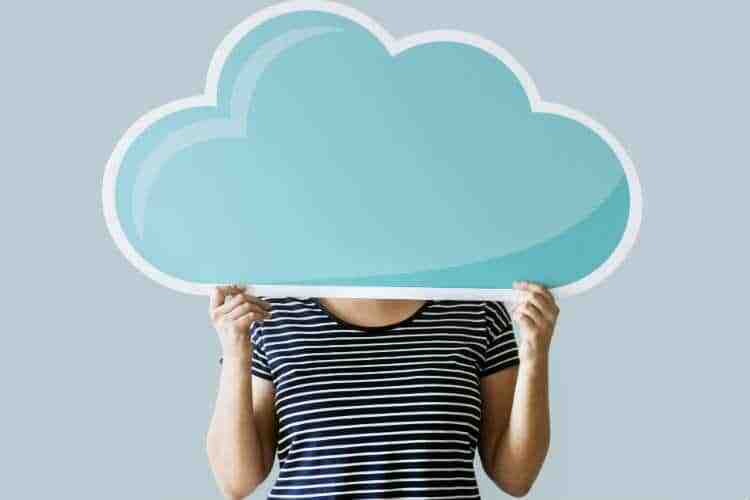 Cloud storage offers advantages like increased accessibility and reliability, quicker deployment, strong protection for information backup, archival and disaster recovery situations, and reduces storage expenses since there is no need to purchase, manage and maintain costly hardware. With each passing day, more number of users are sourcing their data storage to cloud providers. This is because of the cost savings, ease of use, as well as simplified accounting, payroll, and employee management. People are utilizing cloud services to secure their essential information, as well as share videos and images. You have to decide which kind of cloud storage will be apt for your requirement. Mainly, there are three basic types: private, public and hybrid. Private cloud storage is a system designed for one individual or organization and is specific to your requirements. It is a type of cloud storage where the enterprise and cloud storage provider is integrated into the enterprise’s data center. Both function well, but preferably for businesses and not for single users unless you operate a smaller home-based company. In private cloud storage, the cloud storage provider has the infrastructure in the enterprise’s data center and deals with its management. This kind of cloud storage helps in solving security and performance concerns. You possess more administrative control and can build the system according to your specifications. Public cloud storage is a service that needs minor administrative controls and can be accessed online by anyone you authorize. You receive the same security, but there is no need to manage the system to the extent required with a private cloud. Also, you don’t require a rigid integration with your business demands or individual storage issues. Personal cloud storage is regarded as a subset of public cloud storage concerned with storing an individual’s data in the cloud and giving him its access from anywhere. It is also called mobile cloud storage. Personal cloud storage provides features like data syncing and sharing capabilities across several systems. Apple’s iCloud is an excellent example of personal cloud storage. Hybrid cloud storage is the combination of private and public clouds. Here, you can customize different features. You can even enter the applications meeting your demands, as well as the resources apt for your task. The highly essential data can be kept on a private cloud, and the less significant information can be kept on a public cloud and accessed by a group of individuals remotely. You can keep all the data in an efficient storage environment, that saves time and expenses. This type of storage has scalability and metadata characteristics. It works well when the nature of the data is static and will not be rewritten again and again. For examples, you can keep your backups or media files, etc on object storage. In the case of object storage, you can not partially edit or modify a file and object needs to manipulated as a whole. This type of storage is supported by Network Attached Storage (NAS) server. In the case of NAS, storage is presented to the server over the network and can be shared across multiple servers. This type of storage provides low latency. Thus, this type of cloud storage gives high performance and is used for enterprise applications like databases and ERP systems. In this case, data is stored in the form of blocks. Block storage is primarily used in SAN (Storage area network) storage. What are the examples of Cloud Storage? Through our discussion, hopefully, you have got an idea regarding cloud storage. So now, let’s move on to some examples of cloud storage. Google Drive is the most commonly used cloud storage readily available to users, not only on their computers but also on their Android systems. It is built by Google to work with Google products. The users can store documents, videos, music, and photos in it. Initially, Google Drive provides free online storage of 15 GB to its users. If there is a requirement of more room, the user can upgrade it to Google One which offers 100 GB to 30 TB of storage capacity. Another widely used cloud storage is the Microsoft OneDrive which is developed by Microsoft to work with the Microsoft products such as Outlook Mail. 5 GB of free storage capacity for any file is provided to its user. It is similar to Google Drive, and it can store files like documents, videos, music, and photos. Apple iCloud is the cloud storage service for all the Apple users (Mac, iPhone, iPod, or iPad). Developed by Apple, this cloud storage provides an initial 5 GB storage capacity which can be increased by paying more. iCloud acts like an online backup facility and helps in backing up a user’s photos, emails, and other files in it. Developed by Amazon, this cloud storage provides an initial storage capacity of 5 GB which can be increased by paying more. Also, the Amazon Prime users get unlimited storage capacity for photos and 5 GB free space for other file types. Dropbox offers its users 2 GB free space and allows them to access the files from the web, desktop, or mobile device. However, one can purchase Dropbox Plus or Professional to obtain 1TB or more online storage space. There are also other Dropbox Business plans. How to choose the right Cloud Storage provider? There are multiple cloud storage providers. You may get perplexed while choosing one of them for use. For the right selection, there are a large number of factors to be kept in mind, as follows. The price is directly related to the amount of space required by the user. The more space the user wants, the more price is to be paid. More cost is needed to upgrade to more storage capacity. Many services let you try out their packages by either offering a trial version or free space. In this way, you can determine which one suits your work the best. The amount of data that is to be stored by the users or the amount of information processed by any organization is the critical factor in deciding the amount of storage capacity required. Different cloud storages come with free initial low storage capacity which can be increased by paying more. To secure user data, the cloud storage usually provides a dual-factor authentication with password and encryption. 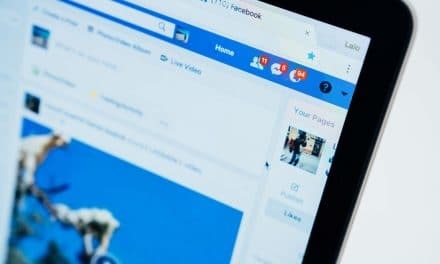 Still, if there remains a concern that whether the service providers themselves can view the users’ data stored on the cloud, then you can opt for ‘Zero knowledge encryption’ option. 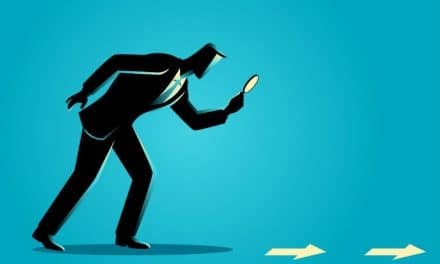 Zero knowledge encryption or private encryption means that none other than you will have access to your data, and not even the service provider you are storing your files with. Accessibility of cloud storage is heavily dependent on the network, and so your data may be inaccessible or have a performance problem in accessing them if there are any hiccups with the network. Besides, you may lose all your data if a cloud storage service shuts down. Generally, popular cloud storage services or the ones in use for a long time are likely to help out in a situation where they decide to shut down business. Go through the features offered by different cloud storage services and choose the one meeting your demands. Also, check if the available features are easy to use. A comparative study of the top free cloud storage services will aid you in deciding between the popular choices. Also, conduct little research by visiting the company’s websites and check their offers, pricing and other features necessary for your requirement to decide wisely. Compatibility is an essential factor for you to choose your apt cloud storage. For instance, if you want to access your cloud data from your phone, ensure that you have selected a cloud storage provider that supports it. Similarly, select a service that can accept the kinds of files you want to keep online, as a music storage service if you’ll be storing some songs online. Cloud Storage is revolutionizing the IT world. It helps to store, maintain and manage their data online. The users no longer required to maintain any hard disk and live in fear of losing all data due to any failure or hard disk damage. The third-party cloud storage service providers maintain all their data. They provide security to the data, and almost all assure restore in case of any failure. Also, scalability of data volumes are available on the fly and you can increase the capacity as and when needed. Different cloud storage providers offer various features and advantages with their cloud storage facilities. Thus, there are many available options of cloud storage from which the user can use. NextWhat is Teeth Whitening Gel Made of?